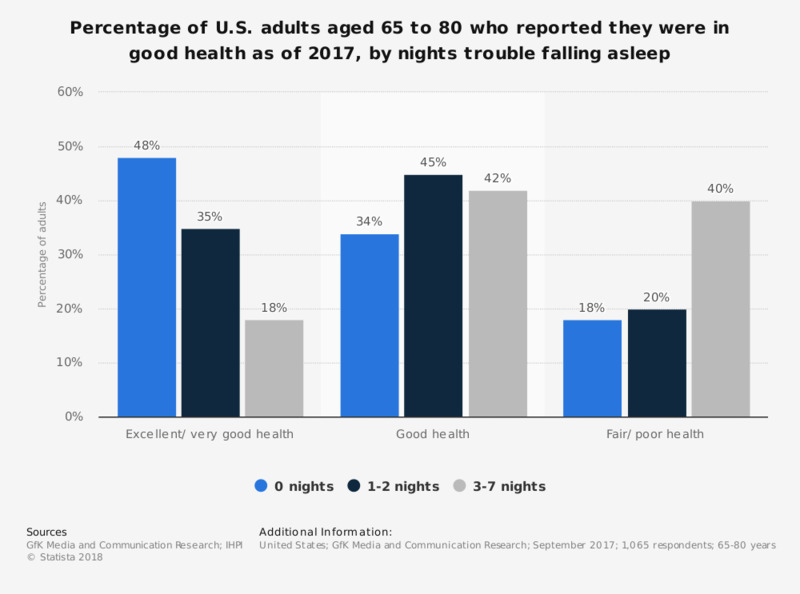 This statistic displays the percentage of U.S. adults aged 65-80 years who reported being in good health as of 2017, by the number of nights they had trouble falling asleep in a typical week. According to the data, 48 percent of those respondents that reported they had trouble falling asleep 0 nights per week indicated they were in excellent or very good health, compared to only 18 percent of those who had trouble sleeping 3 to 7 nights in a typical week. Number of nights with trouble falling asleep in a typical week.